My Amazing Birthday Party | Your Child Is The Star of The Show! 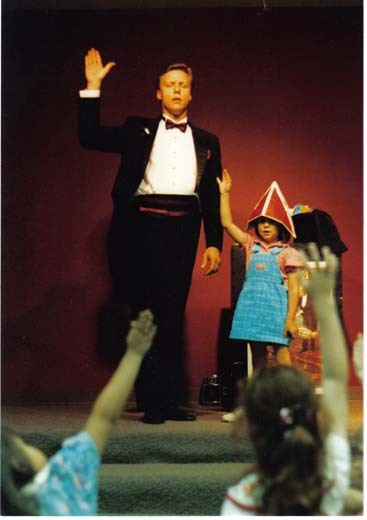 Make Your Child The STAR of Their Very Own Magic Show! Are you planning a birthday party for your child? I can help! 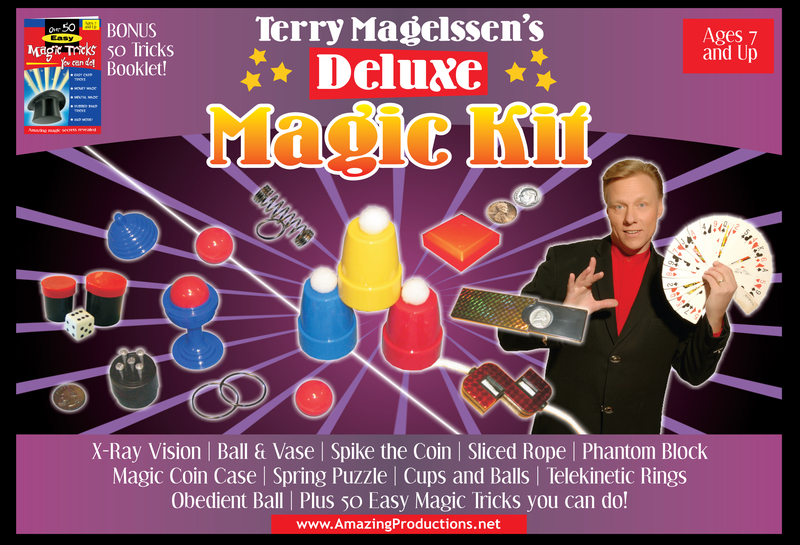 I’m Terry Magelssen, and I specialize in super fun magic shows at children’s birthday parties in the Kansas City metro area (and slightly beyond). My children’s birthday party magic shows are age appropriate, squeaky clean funny, completely self-contained and super interactive & fun! Besides just the magic show, I provide “Magic Prize Bags” for all the kids and a custom Magic Kit for the birthday child. I will even send you a “party planning guide” just for checking me out. Making kids feel special while having a great time is what magic can do. Every kid is intrigued by magic. It naturally holds their attention while making them “wonder”. 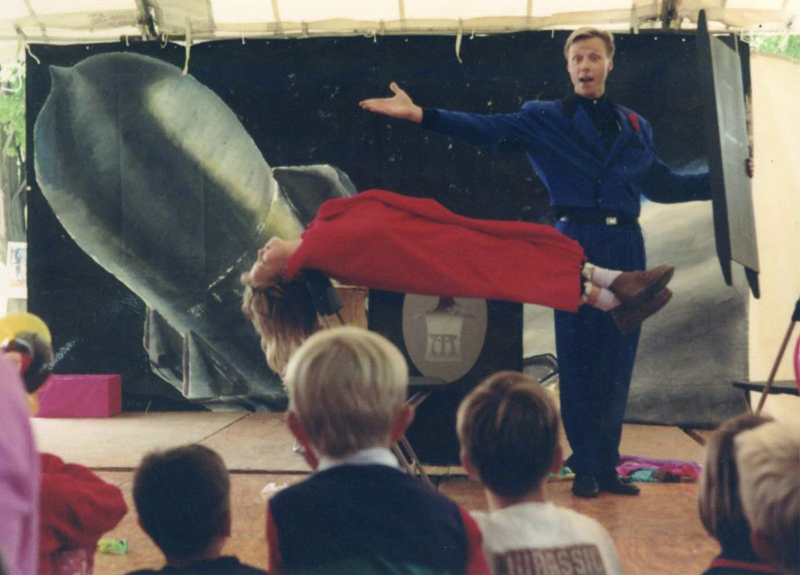 And that is the job of the Magician…helping people experience the sensation of Wonder. Through magic, story telling, puppets and make believe, Terry can take a room full of children on a journey that will have them laughing to tears one minute, and staring in dead silence with their mouths open the next. 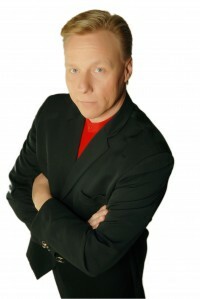 As an experienced and trusted children’s entertainer, you can relax knowing you have found a professional. Someone who cares for children and wants to help you make lifelong memories for them. Now THAT’s magic! Every child at your party get’s one of Terry’s “Magic Prize Bags”. It’s a goody bag filled with tricks, games and puzzles. We have gone to all the trouble of selecting and assembling the bags so you don’t have to. And they are themed with a “magic party” in mind. 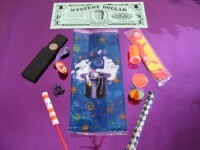 Keep every kid happy and not feeling left out….”Magic Prize Bags” are the answer! Up to 20 bags included at no extra charge. The Birthday Child will receive their very own CUSTOM MAGIC KIT! Terry has personally selected the tricks in this kit. And they are sure to please. There are 10 of Terry’s favorites complete with instructions. In addition, there is a booklet inside teaching 50 additional tricks that your child can perform with items found around the house. Studying magic will instill a curious mind and ignite an interest in science, math, chemistry and psychology to name a few. Performing magic will bolster self-confidence in your child as well as the ability to get up in front of groups of people and speak. Magic is great medicine! “If the kids and your guests don’t have a great time, you don’t owe me a dime. This has been my hand-on-my-heart guarantee since I started business. You’ll be happy to know, no one has ever needed to use it”. Just fill out this form and I will rush you complete information. As my way of saying “thanks”, I’ll also rush you a copy of my “Birthday Party Planning Guide”. YES! 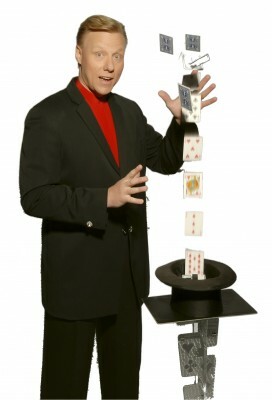 Send me pricing information and details about your Birthday Party Magic show.